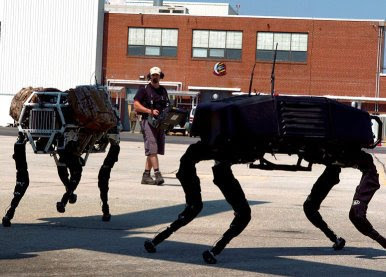 The 112-page report prepared for the Office of Naval Research was designed as a preliminary investigation into the risk and ethics issues related to autonomous military systems, with a particular focus on battlefield robotics as perhaps the most controversial area. It is intended to help inform policymakers, military personnel, scientists, as well as the broader public who collectively influence such developments. Its stated goal is to raise the issues that need to be consider in responsibly introducing advanced technologies into the battlefield and, eventually, into society. The report contains 8 preliminary conclusions including this warning: While a faster introduction of robots in military affairs may save more lives of human soldiers and reduce war crimes committed, we must be careful to not unduly rush the process. Much different than rushing technology products to commercial markets, design and programming bugs in military robotics would likely have serious, fatal consequences. A look into the future - a very interesting read. Read the report in full.